Our fairy gardens from the Creque's Greenhouse! Whimsical, miniature fairy gardens are tiny landscapes that look like they could be inhabited by fairies, as the name suggests. 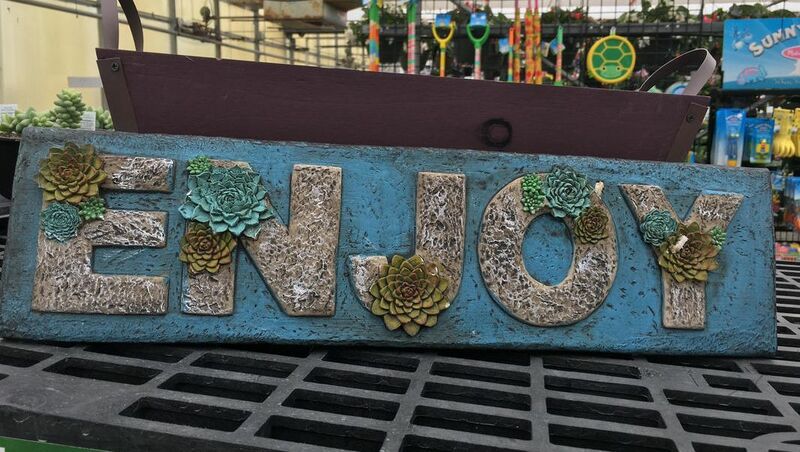 They aren't just for kids, and the gardens don't require a lot of space, time or money. All you need is the willingness to experiment, have fun and let your imagination run free. 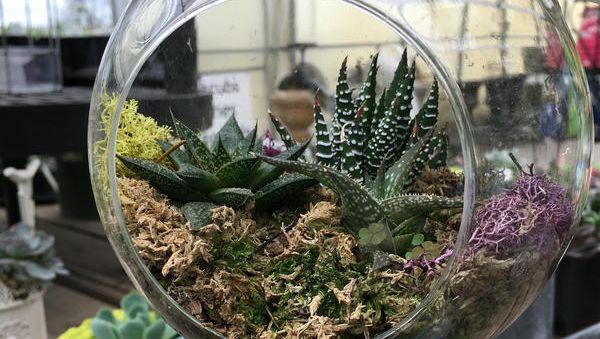 Create this magical little world in a small area of your backyard or make a portable fairy garden in a bowl or a flower pot. Locate a slightly secluded, protected area in your garden. Suitable areas include a shady spot among shrubs or under a tree, a nook nestled against an old tree trunk or a stone outcropping. Look for areas where your fairy garden is protected from wind, rain and foot traffic. Plant your fairy garden in a container if you don't have suitable garden space. 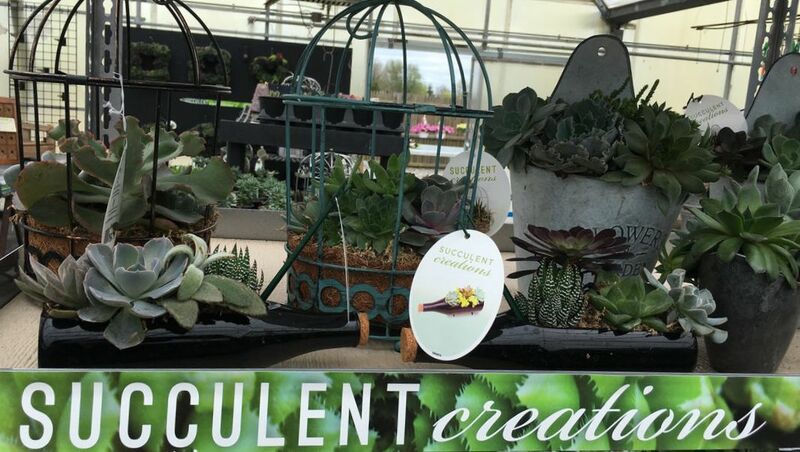 Nearly any container will work, such as a flower pot, an old bowl or cooking pan or a terracotta saucer. For a larger container, you can repurpose an old suitcase or drawer, picnic basket or wheelbarrow. If you intend to grow plants in a container fairy garden, ensure the container has a drainage hole in the bottom. Fill the container with commercial potting soil. Sink a small container such as a plastic bowl or cup into the soil to create a small pond for your fairy garden. Fill the container with water and decorate the pond any way you like. For example, use a small piece of wood to make a diving board or make tiny boats from seed pods or walnut shells. Locate small mirrors in the garden to add sparkle. A mirror can also serve as a small pond. Plant a few low-growing plants around the mirror to create the illusion of a wooded pond. Lay a small flower pot on its side and then bury it halfway in the soil to create a miniature fairy cave. Plant tiny, low-growing plants in your garden. 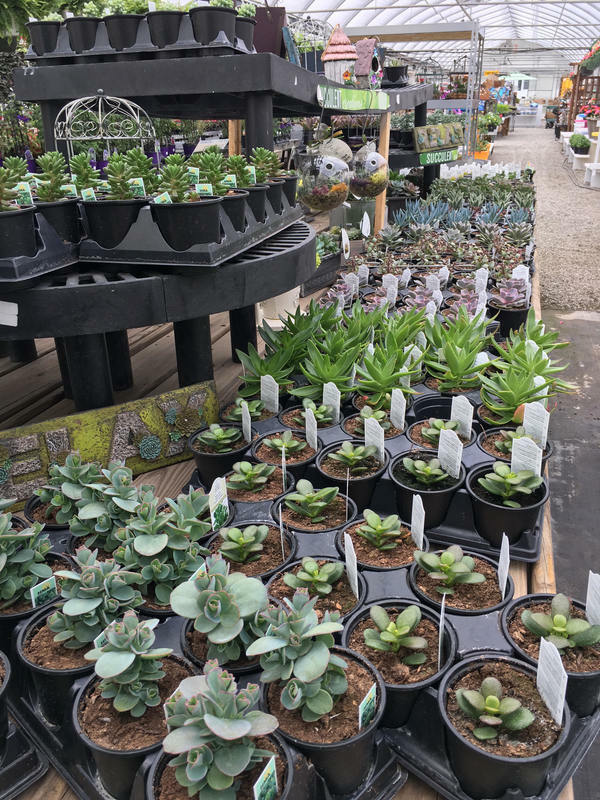 Choices for a fairy garden include plants such as scotch moss (Sagina subulata) or creeping thyme (Thymus praecox "Minor"). 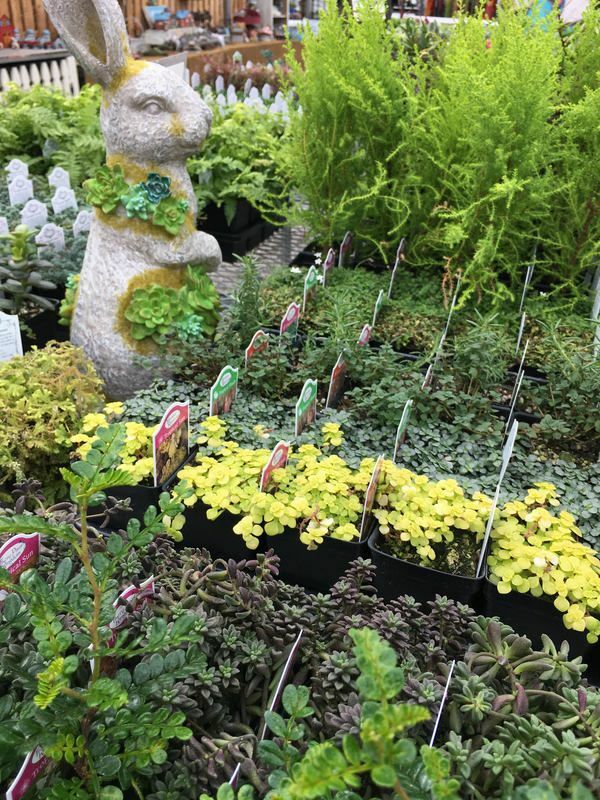 Scotch moss is suitable for growing in U.S. Department of Agriculture plant hardiness zones 6 through 9, and creeping thyme is appropriate for USDA zones 3 through 8. If you prefer not to plant real plants, decorate the fairy garden with dry moss, pine cones, pine needles, lichens, twigs or bark. Create garden paths with tiny pebbles or colorful aquarium gravel. Add miniature figurines or other objects to the fairy garden. Possibilities include miniature bird houses, chairs, fences, garden gnomes and seashells. 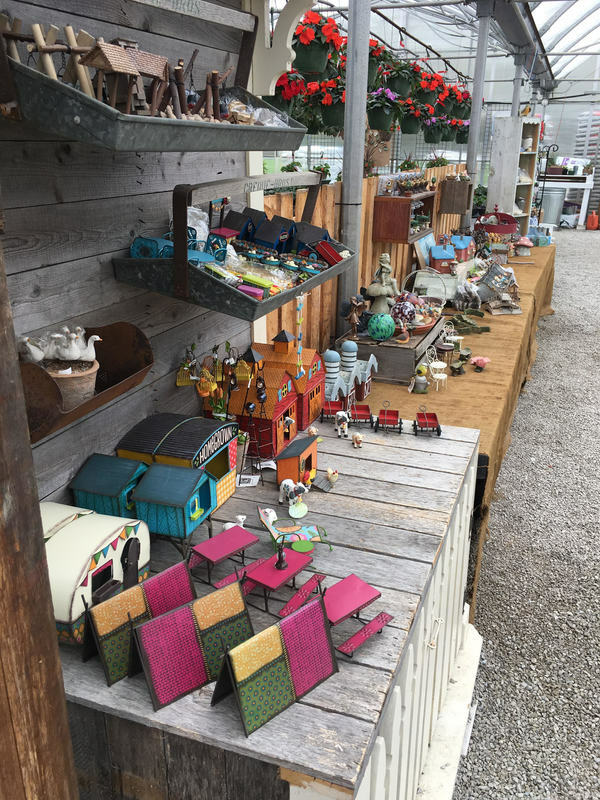 Miniature figurines, furniture and other decorative elements for a fairy garden are available. Other places to look include thrift shops or toy stores. Empty and refill any water features such as those in Step 3 to avoid the water becoming stagnant. Stagnant water can lead to mildew and provide a breeding ground for insects like mosquitoes. Place any glass items out of the way of traffic so people don't accidentally step on them. Keep small items away from pets and children.